Rent for weekends, fortnights, months, summer season, etc. Spacious living room with French fireplace. 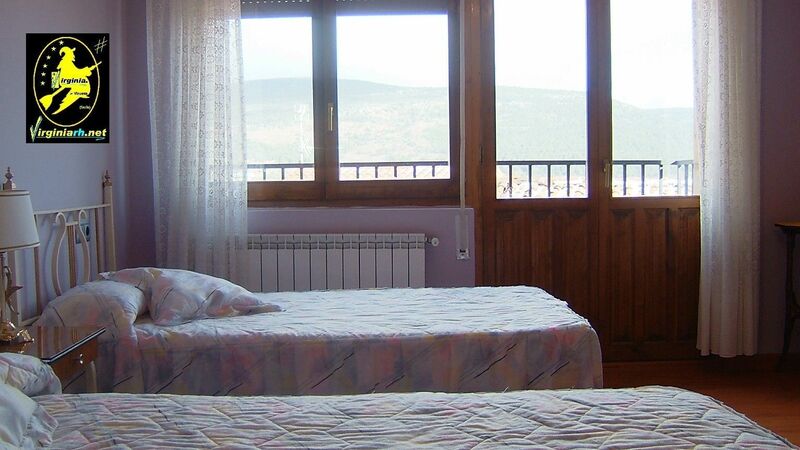 TRIPLE room (3 beds) with balcony and panoramic views. INDIVIDUAL ROOM (1st bed) -balcony. It has 2 attic rooms with a double bed and a complete bathroom in each one. (*) Possibility to put an extra bed in each of these rooms.